Start the weekend a little early with our famous and popular Quiz Night. It's not BIG, but it is CLEVER. It's a lot of fun and raises lots of money for charity. Each week the the chance to win up to £300 in cash prizes. Entry fee is £1per person (all given to charity). Free sarnies at the half-way mark. 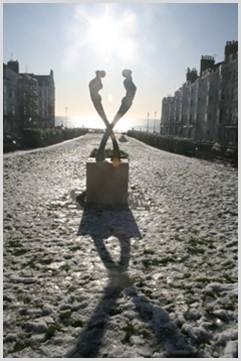 takes palce at the nearby AIDS Memorial in New Steine, Kemptown. Throughout the day we are offering complimentary hot drinks to all attending, whether for the ceremony or otherwise.